We’ve found the food hall! 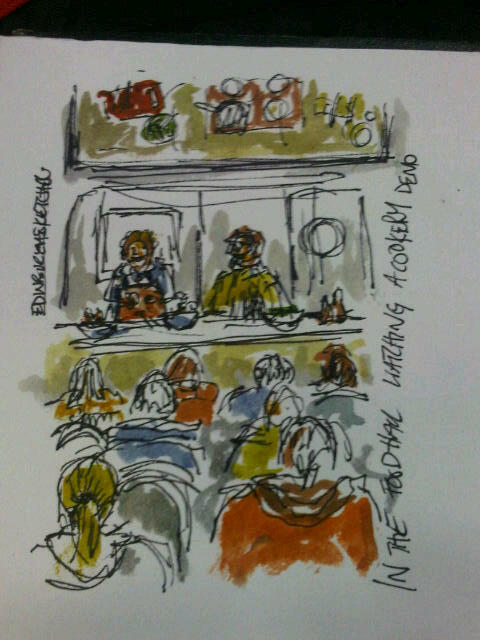 And inside I sketched a quicky if the cookery demonstration area, where Wendy Barrie and Colin Wallace were entertaining the crowd. This is the second of my live sketches from the Royal Highland Show. PS The steak was yummy!